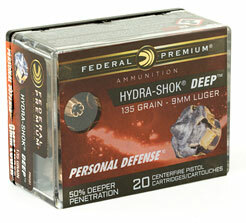 Hydra-Shok has proven itself for personal defense since 1989. Now it's even more powerful. Federal Premium has enhanced the trusted hollow-point, giving it a more robust center post and a design that provide deeper penetration.